Posted on January 24, 2019 at 9:48 am. We all have a complex plumbing system installed in our houses. The plumbing system is a huge contributor to bringing ease into our daily lives. Without an efficient plumbing system, we wouldn’t be able to get clean water running in taps throughout our house. In fact, a plumbing system helps in maintaining household hygiene and helps us keep harmful bacteria away. It is essential to schedule regular maintenance by hiring a plumber in Cleveland, TN to keep the plumbing system running smoothly. Their vast knowledge about the plumbing system helps them solve problems very easily. Majority of the plumbers in Cleveland, TN suggest that you should understand the basics of your household plumbing system in order to make it run smoothly. Understanding the basics of your household plumbing system will enable you to solve minor plumbing problems by yourself. You won’t need to call a plumber in Cleveland, TN for every problem that you face. Here are some of the amazing facts about plumbing that every homeowner should know. Did you know that the plumbing system is one of mankind’s oldest creations? The first plumbing system originated from ancient civilizations present in Greek, Indian, Chinese, Roman, and Persian cities. Initially, they used to make bathtubs and toilets using clay which also included a basic flushing system. With the passage of time, they updated their plumbing system by introducing marble tubs and toilets along with drainage pipes made of lead, bronze, and copper. This was all about the indoor plumbing system but what about the outside. The first sewer dates back to the 17thcentury. Before its invention, sewage was dumped into nearby rivers and other water bodies. As mankind evolved, they understood the dangers of open sewers. Hence, the sewerage system was invented. Plumbers in Cleveland, TN are thankful for all the developments that led to the creation of a proper drainage system. It not only helps in keeping houses clean but also makes it easy for the plumbers to solve plumbing issues. Did you know leaky faucets are the biggest reason behind water wastage? Household leaks can account for more than ten thousand gallons of water being wasted annually. As a homeowner, you should try to avoid wasting water as much as possible. If you have a leaky faucet in your bathroom or your kitchen, you must contact a reliable plumber in Cleveland, TN. They will fix the problem and save you from wasting water. As a responsible human being, you must make sure that you do not waste water. There are many countries in this world that do not have access to clean water. Hence, you should make sure that you play your role in conserving water as much as you can. Plungers make our lives easy by unclogging blocked drains. Hair, food particles, and solidified soap lather are the major contributors of a clogged drain in showers and sinks. However, clogged toilet drains are a different matter. Using a single type of plunger to unclog both types of drains is not convenient. This led to the invention of two different kinds of plungers. A toilet plunger has a narrow base that can easily fit into the toilet whereas a sink/shower plunger is the more common type of plunger with a regular rubber cup at its base. If you consult a professional plumber in Cleveland, TN, they will suggest that you use the right kind of plunger for unclogging your toilet, sink, and shower drains. Using the wrong plunger will worsen the situation and make it difficult to unclog the drains. Are you looking for ways to lower your energy bill? If yes, then you need to read this fact. Insulating the pipes coming from your water heater will help you save money. The insulation will reduce heat loss and keep the water present in your household pipes warm for a long time. You will waste less water while you wait for hot water to run down your faucet, making you conserve water as well. Plumbers in Cleveland, TN suggest that you get your household pipes insulated for lowering the cost of heating water. Did you know that Mario and Luigi were actually plumbers? Back in the day, the super famous Mario Bros developed by Nintendo was our most favorite game. All of us have grown up playing that game but very few know that those characters were plumbers. So, if you ever see a plumber in Cleveland, TN dressed up as Mario or Luigi, you should know the reason behind it. The word “plumbing” comes from the word “plumbum” which means “lead” in Latin. You might be wondering what a hazardous metal such as lead has to do with plumbing. In the beginning, lead was used to make water pipes because of its useful properties such as malleability and resistance to corrosion. Later on, lead was replaced by other metals such as iron and copper because lead is hazardous for humans. Lead can quietly seep into the household water supply and eventually cause problems such as lead poisoning. According to plumbers in Cleveland, TN, the decision of not using lead for water pipes was a great one. Ever wondered how your flush tank stops filling when it’s full? It does so because of the presence of a floating ball inside it which prompts the water supply connected to the flush tank to stop. The floating ball helps in determining the water level inside the flush tank. If your flush tank stops working, you must inspect the floating ball mechanism present inside it. If you are unable to find what’s wrong with your flush tank, you must hire a plumber in Cleveland, TN. After reading these interesting plumbing facts, you will be able to understand the plumbing system of your house. If you face a plumbing problem, you must hire an experienced plumber in Cleveland, TN. Metro Plumbing, Heating and Air Conditioning offer the best plumbing services in Cleveland, TN. 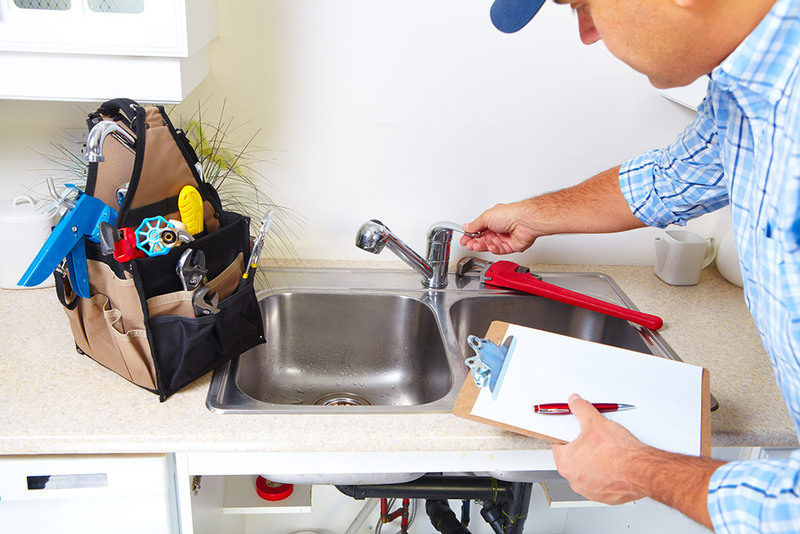 Our plumbers know how to deal with every possible drainage and sewerage problem that you’ll ever face. Click here to visit our website or call us at (423) 616-1025.